Clinelle’s new Pureswiss Hydracalm range will ensure that your skin is looking refreshed and hydrated this Winter. Say goodbye to dry and unhealthy-looking skin and Hello to a rejuvenated and youthful glow! The range includes six products, each tailored to keeping your skin looking healthy and fresh. It uses the latest advancement in technology with Natural Hyaluronic Acid, Pure Swiss Thermal spring water and Bio-calm Complex. Which Locks in “72hrs” of moisture! Never leave the house with dull or dry feeling skin again. 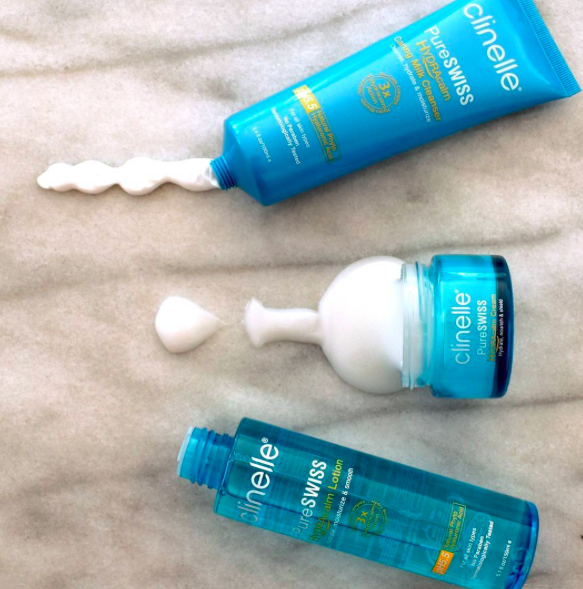 Your skins defence system will be stronger than ever after using Clinelle’s range, allowing you to tackle some of life’s harshest weather conditions. Whilst Australia might fare a lot better than our Northern neighbours when it comes to weather. Dry winds and rain can cause our skin to become vulnerable; breaking down the outermost layer which maintains the skins moisture level. Indulge in the Pureswiss Hydracalm sleeping mask for an over-night miracle! Or opt for a morning routine that will keep your face in-check all day long. We all know how important it is to keep our skin healthy, so look no further than Clinelle’s new Pureswiss Hydracalm range. You can be sure it’ll be the lifesaver of the season.